The past decade’s startup boom has taught us that startups are scrappy, innovative, and most definitely hungry for growth. This hunger can be the driving force that ultimately leads to their success, but it can also influence decisions that cause their demise. We’ve all fallen victim to the trap that is grocery shopping while hungry. You are entirely aware that you are only there for a few staple ingredients to last through the rest of the week, but your starvation suddenly causes all the delicious, unnecessary foods to seem essential. Startups often fall into the same trap when first marketing their product. 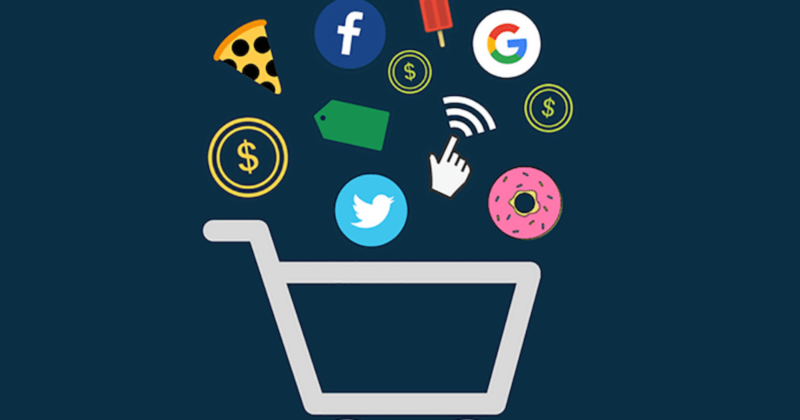 They know that they need to build a groundswell of awareness and when they open their marketing pantry, they often become tempted by the allure of paid ads. 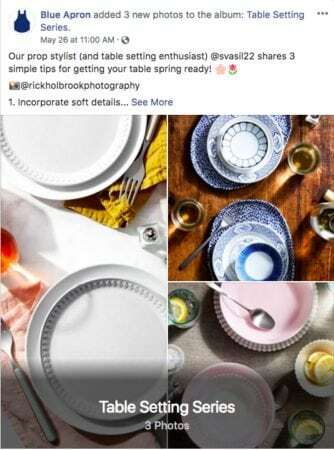 Before they know it, they’ve invested much of their resources into targeting users through Facebook, Instagram, and other ad platforms. Just like the impulse purchase of a Costco-sized jar of Nutella that will be thrown away in a month, the investment in paid digital advertising can sometimes be instant gratification. Targeted ads can be an effective way to get in front of people and they often result in immediate spikes in click rates and site visits. Though these initial results can be exciting and appear to be well worth the investment, they can sometimes be empty metrics. Simply driving traffic to your site does not mean that the users will return to support your product or mission; the number of clicks does not equate to the number of genuine interactions and relationships cultivated. Instead, startups should shift their focus from buying an audience to building one. Before launching in 2007, Dropbox hired an SEM guru, spent a boatload on AdWords and paid for targeted ads. The company was paying between $233 and $388 per every acquired customer with this strategy, while the product itself was $99. After months of losing money, they realized that they were acquiring the majority of their new customers not through their paid efforts, but through word of mouth. The bulk of Dropbox’s new users were being directed to their site organically so they capitalized on this and launched a referral plan. Dropbox’s platform leaped from 1 million users 7 months after their launch to 4 million just one year later, and they reported that content and word of mouth amounted to 55% of their daily signups. The question is no longer how you can target your content, but what content you can produce to cultivate the most genuine engagements. In an age where customers are increasingly wary of ads, the only way to build a real following and audience is through high-quality content. Yes, owned and branded content programs may take longer to produce and yield results, but they are foundational elements that will pay off in the end. Paid marketing, however, should be completely disregarded. Startups just need to learn how to leverage their content as part of their paid strategies. Users will have an infinitely better experience if your paid ads are driving them to valuable content that solves problems they face rather than just sending them to a splash page where they can purchase a product. Creating a steady flow of valuable content can be effective in driving awareness while hitting on multiple growth tactics like SEO and PR (taking an owned to earned approach to allow your content to generate media wins). Content is the ultimate credibility builder among search engines and users. Personal finance app Mint started their blog, MintLife, in 2007 before the blogging world had exploded in popularity. The company built out a robust owned content program to regularly publish helpful finance tips with articles, infographics, and videos which earned them 20,000 subscribers before even launching their app. Similarly, recipe delivery service Blue Apron built hype and trust around their recipes before they were released by creating fun, educational content that included kitchen hacks, recipe backstories, and cooking techniques. This content caught the attention of anyone interested in all things kitchen-related and saving time— precisely the type of people who would most likely subscribe to their service. Blue Apron’s quality content creation allowed them to step outside of the boxes left on their subscribers’ doorsteps and into their kitchens. This closer relationship made the startup a reliable culinary source and a trusted brand. Most startups today are digitally-based, so audiences don’t necessarily have the chance to interact with the people behind the operation. While this is common and naturally unavoidable, users are still humans, and humans are more likely to build loyal relationships with other humans than with code. Companies are more trustworthy and memorable if they develop a unique brand identity that makes these relationships easier and more natural to establish. Brand identity is the personality that your company assumes. Humans express their personality through visual presentation, language, and mannerisms. When translated into a digital platform, these characteristics are known as color schemes, logos, content voice, and audience interaction. Chipotle, for example, is widely acclaimed for its brand identity solely because of the voice it uses on social media. Chipotle serves burritos and bowls to people of all ages, but the company realized early on that they were widely popular among millennials and younger audiences. 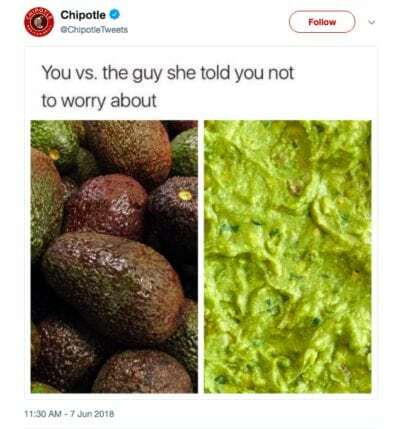 Chipotle immediately adopted the language and the interests of a generation Y or Z-er, so their audiences feel like they are engaging with a witty peer rather than a fast food restaurant. A strong brand identity can effectively target the audience you are trying to capture and keep them coming back to engage. Users aren’t likely to become a loyal audience if they have negative experiences interacting with your company. “User experience” typically boils down to the ease of use users experience when interacting with your website or product. The evolution of technology has made it easier than ever before to harness features like chatbots that increase UX and as well as the overall customer experience. 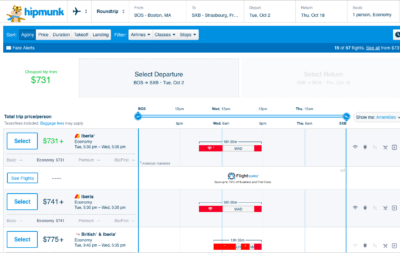 One company that has garnered success because its user experience is Hipmunk. 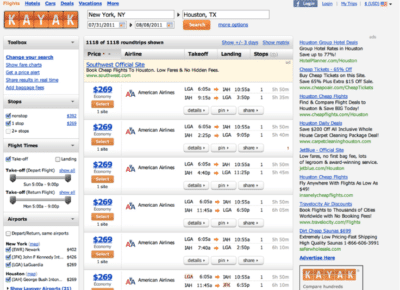 Though it essentially provides the same travel accommodation search functions as sites like Kayak and Orbitz, its cleaned-up, simpler to navigate and read interface creates an easier search and booking experience for users. Understand users needs and wants may evolve as your users do. Grow with them. Paid ads are indeed a valuable component of the marketers’ toolkit, but it’s imperative that startups don’t put all of their eggs into this basket. Although it might take longer, building an audience through content, establishing a brand identity and providing a positive user experience will ultimately develop strong relationships with audiences in a much more cost-effective way. So if you are a startup hungry for growth, put down the Nutella and take a look at the organic stuff.